Win a Week of Camp! 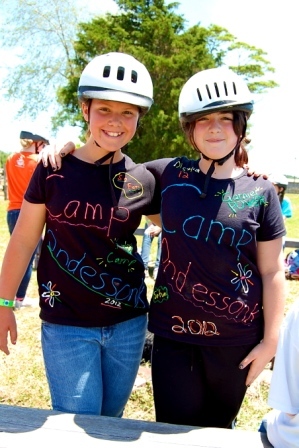 Second Prize: Three lucky winners will receive a Camp Ondessonk Essentials Care Packge (retail value $68)! Care Package includes: Water bottle, flashlight, batteries, disposable camera, postcards w/5 stamps, carabiner w/compass, vent brush, toothbrush/toothpaste, shampoo/conditioner, 30 SPF sunblock, bug repellant, a bug net, drawstring backpack, unit bandana and $5.00 in Barter Bucks. The $68 Retail Value represents the value of these items if you purchased them individually at our Trading Post . Please return your raffle ticket request form to Camp Ondessonk no later than 11:00 a.m. CST on April 30, 2014. The drawing will be held at Camp Ondessonk at noon on April 30, 2014. Winners will be notified by phone call and email within 24 hours. If you have already registered for Camp, you can apply the winning gift certificate to your entire registration fee. For full raffle details and rules, download a Raffle Ticket Request form.